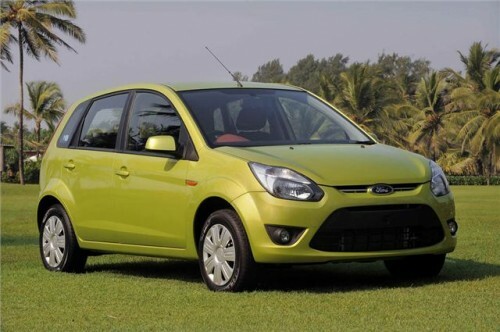 Ford Figo should be a small city car, but the word ‘small’ might not be a good description. The biggest surprise with this car was the space inside. At the front, we have more than enough room, which was expected, but the back leg-room came as a pleasant surprise. Don’t get me wrong, it’s not huge, but compared to other cars in its class, the Figo might easily be the best one in this regard. Having rear doors also helps a lot. Boot space is similarly good. Ride quality is also ok. A bit bouncy on bad roads, especially in the back, but this is normal for a car of the Figo’s size. On nice roads you will have no problems and the mentioned space comes as a great perk. The engine in my Figo is a 1.4l diesel. It is fast enough for this car, but not really amazing. What I really liked about it is that it can pull well even at smaller speeds and in higher gears – this is why I bought a diesel in the first place. It really does not require frequent gear changes that I hated in some other small-engine cars. Another thing that I love is the fact that I can see the front end of the car from my seat. This is rarely the case with modern cars and it makes small-space parking a lot easier. Air Conditioning works very well, cooling the car very quickly and not taking much of the power from the engine. Being as cheap as it is, the Figo might be one of the best cars for the money. 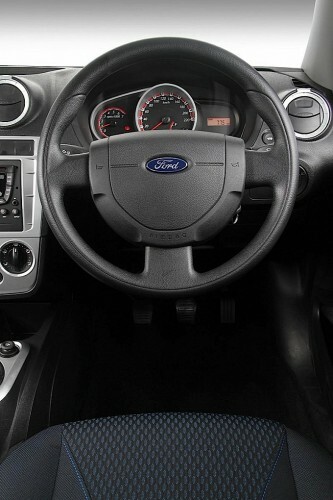 Generally, I like the Figo, but there are several things to bicker about. Plastics of the interior seem very hard which is not very promising for the future, because they might start squeaking after a while. No such problems so far, mind you. The boot is large enough, but if you need more space there are no 60/40 split seats (in some cars the rear 3 seats often split in the way that you can fold only one of them, or two, which allows you to store longer items in the boot and still have a passenger or two in the back). This is something not many people need very often, but I think it was easy to make and Ford should have offered this as an option at least. Rear windows don’t go all the way down. I saw this on some other cars from Ford as well and I don’t think this is a good idea. And it’s not a small issue – they only go down about 60%. Additionally, there are no rear power windows, even in the highest trim level. Also, I expected a bit better fuel efficiency. In the city it was a bit over 7l/100km, which is ok, but I expected better from a small diesel. In the open roads, when driven calmly, the consumption can go well below 5l/100km.